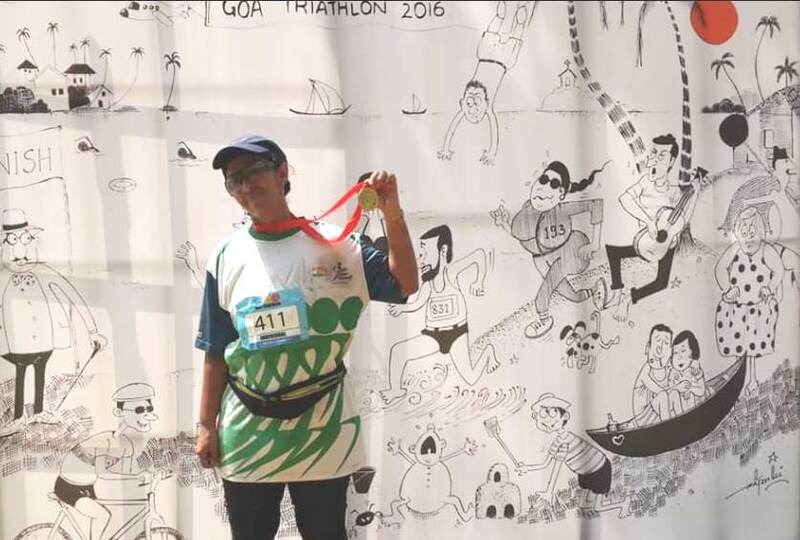 In 2015, Sree Sivadas – then 48 years old – decided to attempt the triathlon. She had just learnt to swim; she didn’t know cycling. Wikipedia describes the nervous system as that part of an animal coordinating its actions by transmitting signals to and from different parts of its body. Needless to say, this function is vital for sports. At the center of the nervous system and reigning as the most complex organ in any vertebrate’s body, is the brain. Thanks to advancements in science, the brain is understood much better now; yet it is also mystery awaiting science. The operation of individual brain cells has been comprehended in detail but the way they cooperate is still a subject of study. The brain is well protected. There is the skull and then, the brain and the spinal cord are encased in three membranes called meninges. There is also the cushion and protection provided by cerebrospinal fluid. As with all inventions, language would have been impossible without the brain. Human language is very sophisticated. In Greek, `meninx’ means membrane. In medical parlance `itis’ denotes inflammation. That’s how meningitis, the medical condition caused by inflammation of the meninges, got its name. Sometime in the beginning of the 1980s, an eighth standard student came down with meningitis in Mumbai. Hers was a miraculous recovery. The medicines she had to take included steroids, a category notorious for its side effects. Sreedevi (Sree) Sivadas recovered from meningitis but at the cost of how she looked – she started to pile on weight. It wasn’t long before she realized she had to do something about it. Walking has never been a glamorous activity. Walking is so fundamentally human – it is what defines us; the idea of it as distinct activity takes some getting used to. Runners typically view themselves as superior to walkers just as climbers and mountaineers do, to hikers. Young people living the age of distinction aren’t known to celebrate ordinary things like walking. Sree’s father – he moved to Mumbai from Kerala in 1963 – worked at Rashtriya Chemicals and Fertilizers (RCF). 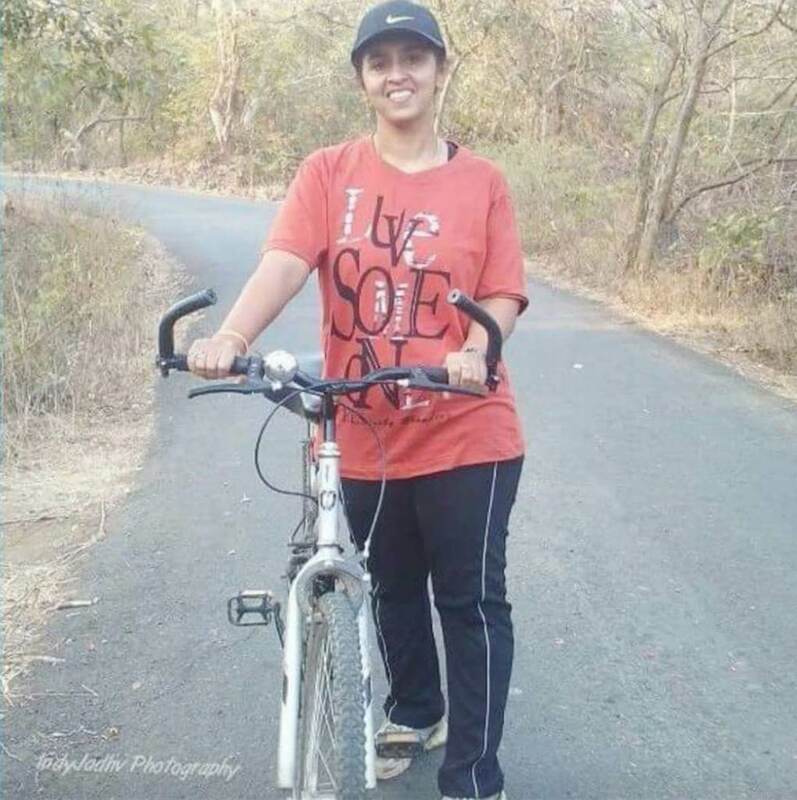 Not a very sporty person – Sree’s interest in sports never exceeded recreational level – and beset with need to reduce weight, the school girl joined morning walkers in Chembur, the Mumbai suburb where RCF has a residential colony. For those conscious about standing out from the rest, it was an unusual sight – school girl walking for exercise; most others engaged so alongside were senior citizens. Sree wasn’t bothered. She also enlisted for taekwondo, making it to green belt. This phase was followed by a shift of residence to Vashi. Soon after her college education, Sree worked briefly at RCF. Then she wrote the staff selection exam conducted by the central government and was initially offered a job with the department of defence. Her posting was at Nhava Sheva, at that time an outpost away from Mumbai with port and defence installations for address. She elected to join India Post instead. She had a secure job. Marriage followed. In 1994, Sree got married. Her husband, Sivadas, ran his own business in engineering goods. A year later, their daughter was born. In 1996, Sree joined the gym. She worked out in the early morning hours. The confines of a gym – that wasn’t something Sree liked. “ I got bored of the gym. So I shifted to aerobics,’’ she said. Then she got into kick boxing, eventually settling for a combination of activity with gym visits twice a week. But the activity she liked the most – and which probably explains the drift away from gym – was none of this. 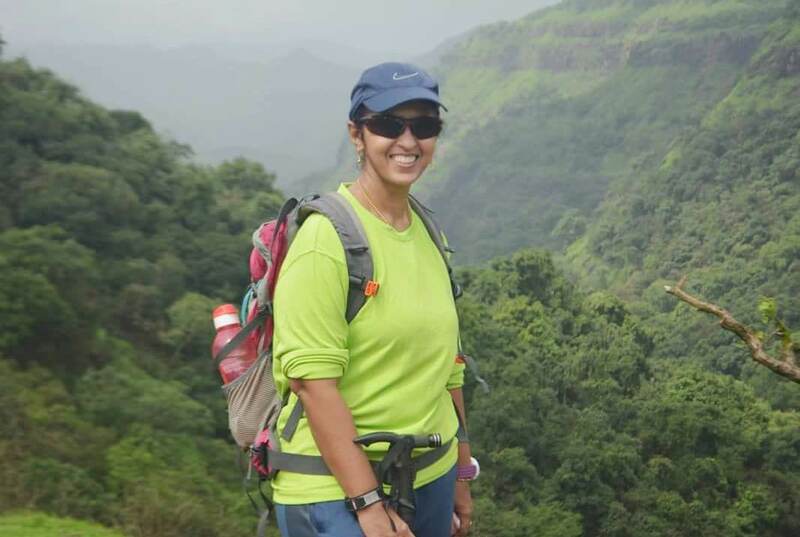 What Sree genuinely liked and did the most was a cousin of all the walking she did as a student seeking to lose weight – trekking. She liked the outdoors. It was a friend – Anitha Varghese, who worked at National Bank for Agriculture and Rural Development (NABARD) – who got her into trekking. 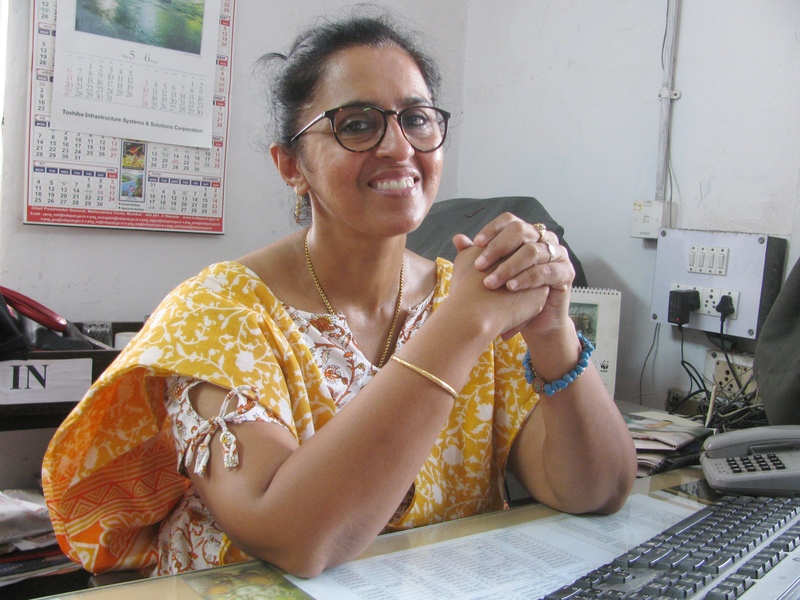 Sree is now a life member of Youth Hostels Association of India (YHAI); she joined the outfit in 2005. She did a lot of treks – short and long ones – through YHAI. In 2004, thanks to Anitha again, Sree became curious about Mumbai’s annual marathon. For two years – 2004 and 2005 – she participated in the seven kilometer-Dream Run. In 2006, without any prior training, she attempted the event’s half marathon segment. “ I didn’t know a thing about running,’’ she said of how she went in for the event. She is aware of how politically incorrect such an approach seems in world where running has become an industry driven by logic and protocols. Equally, an aspect of world where human activity has become edifice wrapped in perfection and achievement, is that nobody wants to fail. The less you are prepared to fail, the less you try anything new. Sree doesn’t mind trying new things. “ I don’t dwell on failure,’’ she said. In Mumbai, elevators speak a lot. The elevator at the city’s General Post Office (GPO) screamed heritage building and go-find-who-John Begg-is. As the old, elegantly cast metal cage ascended in shaft open to world, you saw and heard machinery at work; something you don’t, in the secluded ambiance of modern elevators. By 2018, it was 81 years since Begg, Scottish architect known for his Indo-Saracenic architectural style, died. Mumbai’s GPO is his design. Sree, personal secretary to the Post Master General, had her office in one of the building’s turrets. The small room was circular in lay out. With its sunlit windows, the room had a faint Disneyland feel to it; like being in a fairy tale castle albeit one with a heavy touch of government office to it. In appearance, Sree is hardly the sought you would associate with sport. The way it is being promoted, sport is increasingly competitive even at amateur level. As performance becomes main goal and room for error shrinks, the approach smacks of going to office. Conversation with Sree is comfortable; you don’t sense office. She completed that 2006 half marathon in three hours, forty minutes. That is a very slow time. The evening of the half marathon she went for her regular dance classes. Roughly two years later, in 2007-2008, a 40 year-old Sree began addressing another shortcoming in her life. She didn’t know how to swim. She joined for classes in swimming, learning the skill from scratch. There is however one problem in self-navigated learning. You may be good at breaking the ice; you may not be as good at sustaining the learning. “ I joined for classes, learnt the basics and then I dropped out,’’ Sree said. During this time, she also kept running, pursuing it as best as she could; general awareness of her abilities for guide. Then in 2010, tragedy struck. Her husband died of cancer. The disease developed rapidly. There was little time to respond through treatment. “ Have you met Sree Sivadas?’’ Naushad Asanar asked. He is a senior member of Soles of Cochin, the Kochi-based runners’ group. The conversation was about triathlon, which entails swimming, cycling and running. Naushad mentioned how Sree, having just got into swimming and not knowing how to cycle yet, had enrolled for a triathlon. It put her on a voyage of discovery. According to Sree, her journey to greater intensity in amateur sport had nothing to do with escaping grief. In the years following her husband’s demise, she soldiered on doing the things that interested her, keeping her life interesting. In 2014, as a continuation of her curiosity for running, she joined BNP Green Runners (BNP stands for Borivali National Park). This was the first group of runners she was joining and they introduced her to more systematic training methods. In 2015, Sree met Naushad, Vijayan Pillai and Mathew Mapram – all runners from Soles of Cochin – at Mumbai Ultra, where she was assisting as volunteer. Held every year, Mumbai Ultra is a non-competitive 12 hour-run (5AM to 5PM); it is run on a six kilometer-section of road earmarked for the purpose in the Shivaji Park-Worli Sea Face area. A good swimmer, Naushad had done a triathlon in Goa. During their conversation he suggested that Sree try the Goa triathlon. Sree resolved to give it a shot. At that time, she had rudimentary knowledge of swimming and was still learning to balance on a cycle. “ I just went for it as I was interested in doing all the three disciplines together. I just wanted to try it out,’’ Sree said when asked how she decided on attempting the Goa triathlon after that conversation at Mumbai Ultra. In October 2015, Sree started to learn cycling. “ I began with a small bicycle meant for children. I learnt it slowly at the Borivali National Park,’’ she said. BNP – as the park is known in running circles – sees a lot of regular walkers and runners. Sree was dismissive of the specter of her learning to cycle on kid’s bike amid all that humanity. If you want to learn something new, you have to go through the process. “ It took me two to three months to get the hang of riding a bicycle. Then I shifted to using a bigger bicycle which I rented at BNP,’’ she said. Later that same year, she bought her first bicycle – a Schnell mountain bike. In the meantime, she also registered for the triathlon in Goa. 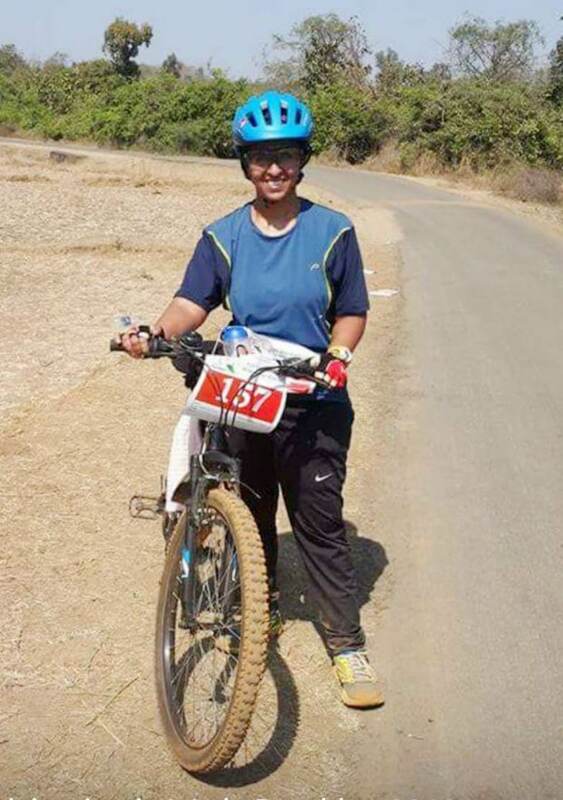 As a stepping stone to Goa, she decided to do a duathlon – 10 kilometers of running and 40 kilometers of cycling – that was due in Wada, less than 100 kilometers away from Mumbai. “ Even now, I can’t hop on to a bicycle like those who learnt cycling in childhood do. I have to keep the bike stationary, get on to it and then start pedaling. If the surroundings become too congested or traffic gets too gnarly, I grow concerned,’’ she said outlining her competence on two wheels. Wada was tough for her. The cycling there was a combination of road and trail. Newly entered into cycling, she finished long after everyone else did. “ I think everyone was surprised to see me approaching the finish,’’ she said. Sree’s learning was exactly that – she finished! In her mind, Goa seemed doable. The Goa event required swimming 1.5 kilometers in the sea, 40 kilometers of cycling and 10 kilometers of running. She started to train again in swimming, electing alongside to stick with the breaststroke as she was comfortable with that style. 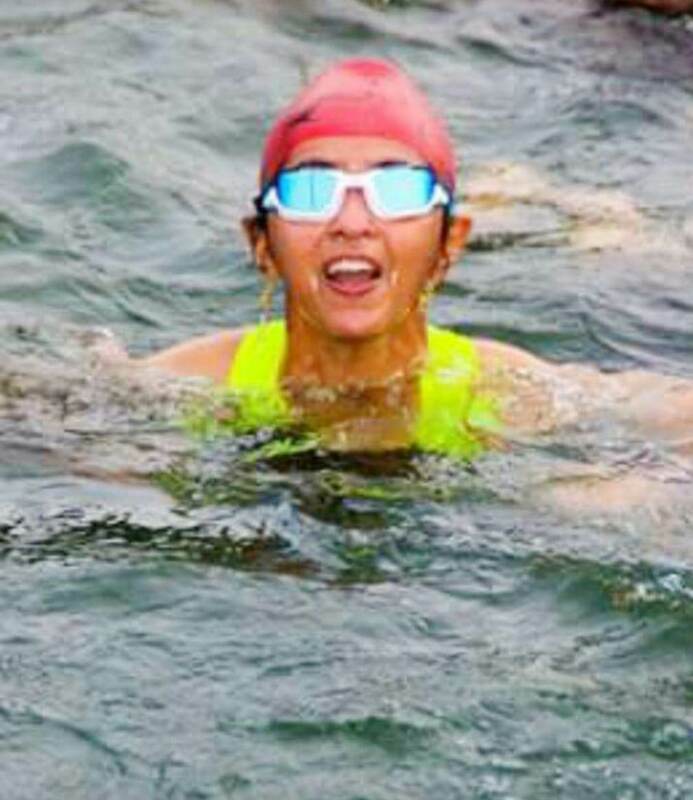 About the sea, her coach and friends assured her that her worry was “ psychological.’’ Although ` psychological’ is frequently thrown around in India as panacea for beginner’s fears it addresses much less than it proposes to. There is more to sea-swimming than overcoming fear of depth and distance. For example, as distance increases both the swimming style used and strokes deployed therein have to be hydrodynamic and efficient. Rather than fearless mind making you confident (which is the usual Indian argument), it is good technique that makes you confident and thereby, less afraid. In February 2016, at the event in Goa, a mere 100 meters out to sea, Sree panicked. One attribute about the Goa triathlon, you hear often, is that it is well organized. That helped Sree. In the sea, overcome by fear, she made for a lifeboat nearby. She hung on to it for ten minutes. Then the organizers asked her if she wished to continue. She said yes. “ Thereafter I faced no problem. The sea also helped; it is more buoyant than the waters of a swimming pool,’’ she said. However the event wasn’t without mishap. Shortly after she commenced the cycling leg, she crashed and broke a tooth. “ I still remember. There was a photographer watching all this. He picked up the broken tooth and gave it to me,’’ Sree said. Although she completed the cycling, her knee was swollen. The running was therefore difficult. But as at Wada – she completed the event. She finished in approximately five hours, forty five minutes. “ It was a feeling of mission accomplished,’’ she said. Less than five months after Goa, Sree completed the triathlon in Chennai organized by Chennai Trekking Club (CTC). “ Thankfully that went off without any accident. I didn’t fall from my cycle,’’ she said laughing. The swimming for the CTC event was in a big abandoned quarry. According to her, the cut off for the Chennai event was seven hours. Sree said she finished in roughly five hours, thirty minutes. In November 2016, Sree completed a triathlon in Pune, designed to Olympic distances. Here the swimming was in a lake and the cycling was in the hills. “ This one was really tough for me,’’ she said. Sree completed the event. She took way beyond six hours for it. “ I just managed to finish, that’s all. I was not prepared for the cycling route,’’ she said. Three triathlons old, the unassuming India Post staffer, begins her day around 4 AM. Depending on the day’s choice of workout, she trains for about two hours and gets back home by 6.30. On weekends she trains for three hours. To help her use time efficiently, she has bought a home trainer that allows her to cycle at home. She is also moving away from breaststroke as preferred swimming style at triathlons. Breaststroke leaves the legs feeling tired and at a triathlon, all the three disciplines involved, require use of legs. If a swimming style – like freestyle – can be more efficient, it makes sense to learn it. She has also realized how flawed her bicycle purchases have been. From the Schnell MTB she progressed to a Fuji hybrid. But a bike fit she got done at a 2017 cycling expo in Mumbai, showed her that both cycles were not of recommended frame size. Some of the difficulties she continues to face in cycling probably stems from this. Meanwhile, the legacy of those steroids from childhood linger. At one point in her childhood, the injections had been a dozen a day. Then it was brought down to eight, finally six. “ I have always been on the heavy side,’’ Sree said. For future project, she hopes to do a Half Ironman someday, provided she can balance the training with her work schedule. Triathletes are often the most meticulous and disciplined of athletes. Viewing life differently, Sree hasn’t allowed the sport she has got into or the projects she has signed up for, to reduce her life to a matrix of goal-setting and achieving. “ I don’t fret if I can’t keep up a training schedule. I do the triathlon for fun. I hope one day I can attempt a Half Ironman overseas,’’ she said. This entry was posted in Outdoors / Travel, People, Sports. Bookmark the permalink.